E-waste is a menacing factor not only because of the large volume but also because of its toxic nature due to the presence of heavy metals and noxious substances. Improper disposal of E-waste leads to the release of numerous pollutants into the environment. PCBs (or Printed Circuit Boards) are the most important components of e-waste as they are present in almost all electronic and electrical devices. In the present study, we elucidate the acute and neurobehavioral toxicity of E-waste extracts using Zebrafish model. Zebrafish are used as a model for toxicology, pharmacology, neuroscience and it has a well-developed neural system, unique neurobehavioral aspect and high genetic homology to mammals, including humans. The PCBs were cut down to the dimension of 5 mm × 25 mm and components of PCBs are leached using physiological saline solution at 70°C. Fishes were exposed to different concentrations (50%, 25%, 12.5%, 6.25%, 3.125%, and 1.562%) of E-waste extract for 96 hours and behavior abnormalities were studied at the end of every 24 hours. 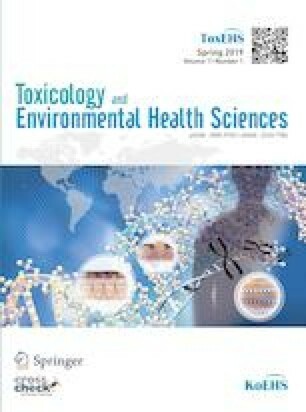 The median lethal concentration or LC50 value of E-waste extract was found to be 3.733%, indicating high toxicity. Mortality of the fishes is directly proportional to concentration of the extract. Neurobehavioral assays such as, novel tank diving test, sociability test and cognition test, were done to the fishes exposed to E-waste extract. The novel tank test shows an increased bottom-dwelling response, poor risk-taking behavioranddifferent anxiety response. Sociability test showed poor social interaction. The test fish preferred empty chamber over conspecific. Learning and memory test showed long-term memory impairment, loss of tendency or delayed latency to make a choice response, condensed number of arm entries and freezing. Overall, the findings indicate that E-waste is highly toxic. It also affects social preference, and leads to increased anxiety and cognitive impairment in zebrafish.